Phonics learning is instrumental in children learning to read and spell, and the stage where they first learn to segment and blend three-letter cvc words, words such as cat, leg and top, is extremely important. 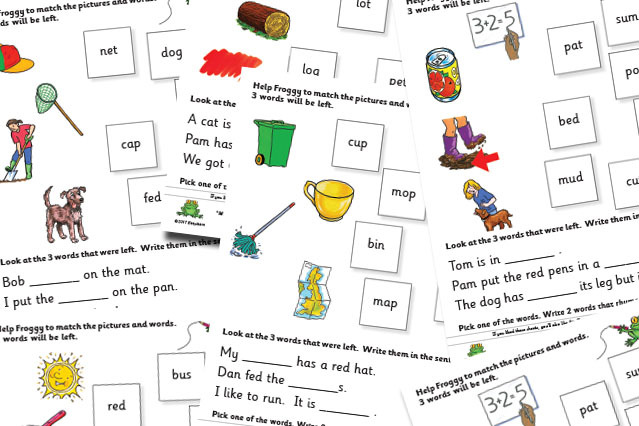 March’s free extra sheets look at writing cvc words and matching them to pictures, and complement level 1 of the Froggy Match-it app. They are designed so that children can complete the sheets with very little assistance and are ideal to be done at home. Get the free cvc sheets here. Look out each month for these extra, free resources from Froggy Match-it and help your child to really learn and practise their phonics. Why not tell your friends and colleagues about them, too?